For me, the finishes inside the porch is what makes me want to have a drink or read a book in the room. Screened porches are a unique type of space because they really are both indoors and outdoors. You are inside a structure, but outdoor-friendly materials have to be used because rain, pollen and some other outdoor elements can get inside. Many homeowners choose to keep their siding on the wall that attaches to the porch to the home because it 1) matches and 2) is weather-proof. 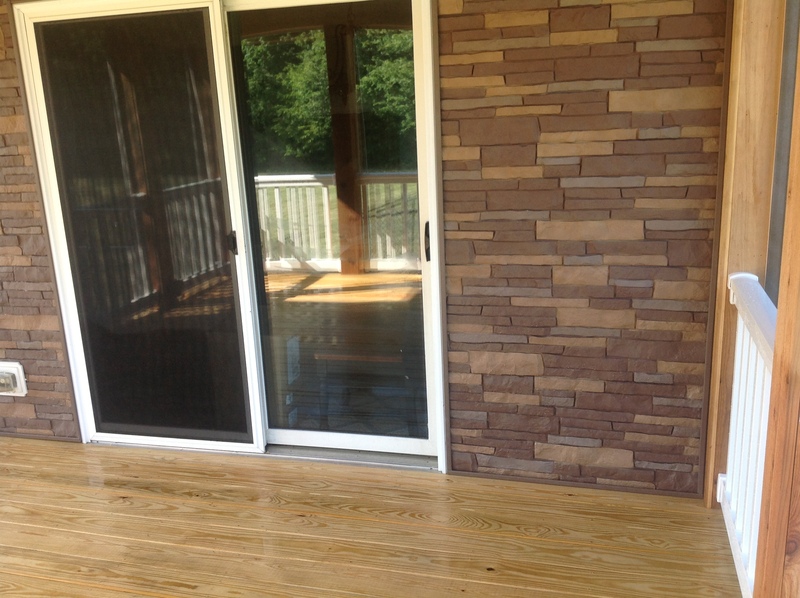 In this screened porch, however, Baron used a stone veneer on the wall. It makes a statement visually, but the warm tones also make the porch cozy. Just a few weeks ago, I went to visit a friend who had recently purchased a new home. We walked through the living space as she pointed out things that they loved and projects they knew they would have to tackle. When we got to the back of the house, it was clear that a new sunroom/living space was on the project list. It was obviously an add-on, and not one that was done well. The finishes were a completely different design and architectural style than the rest of the home. It just didn’t fit. At Archadeck Outdoor Living, when we design and build outdoor living structures, we want them to look like they’ve always been there. They should not look like an afterthought. Often, it’s the details of the project that make this a reality. Here are two examples that show how a space can fit right into an existing home. 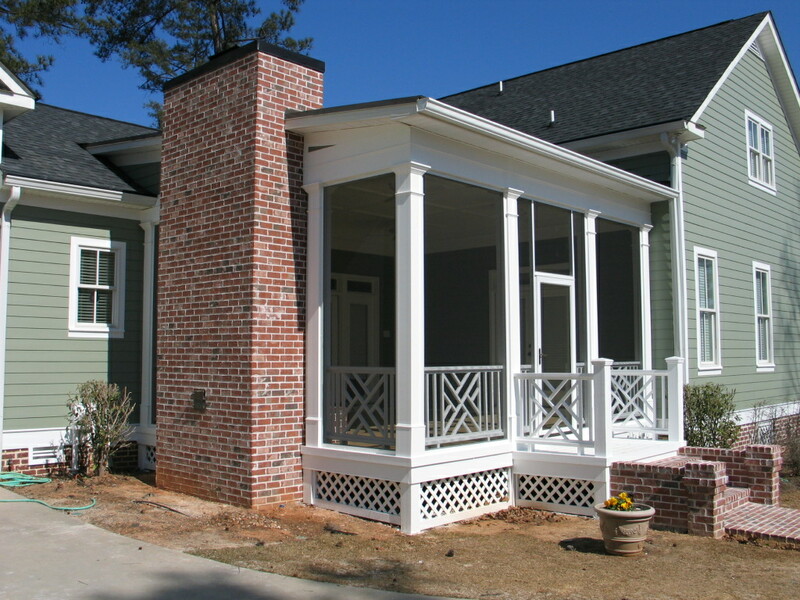 The owners of this Augusta, GA home wanted to replace an existing deck with a screened in porch. 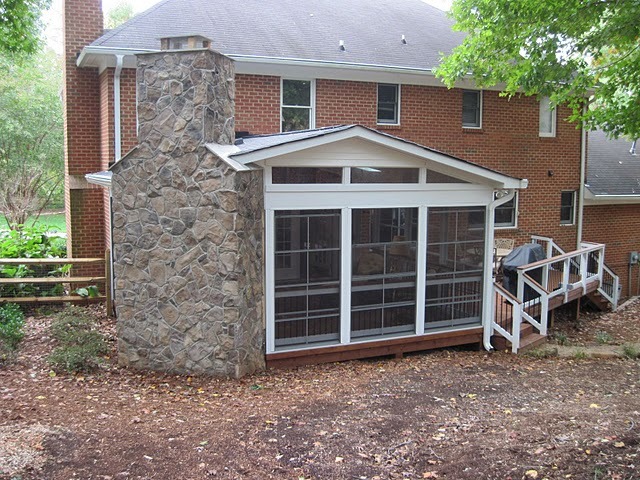 They felt they would use a screened porch more, especially if it could include a fireplace. 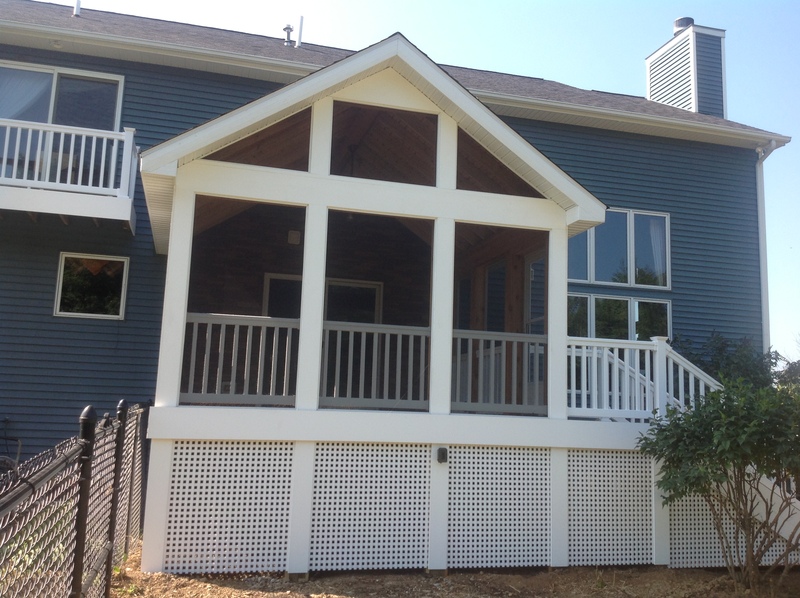 Archadeck of Augusta designed and built the porch to fit the owners’ needs and tastes, as well as their home. As you can see, it looks like it has been there for years! There are two design details that make this happen: the white trim and the brick. The home has white trim along its roofline and windows. The crisp white looks great against the green. By having the framing, skirting and railings of the space be white, the screened porch “fits” with the rest of the space. The outdoor fireplace brick, as well as the brick walkway, are a more subtle detail. You can barely see in the picture, but the foundation of the home is brick. The color and size of the bricks are nearly identical to the ones used in the porch. 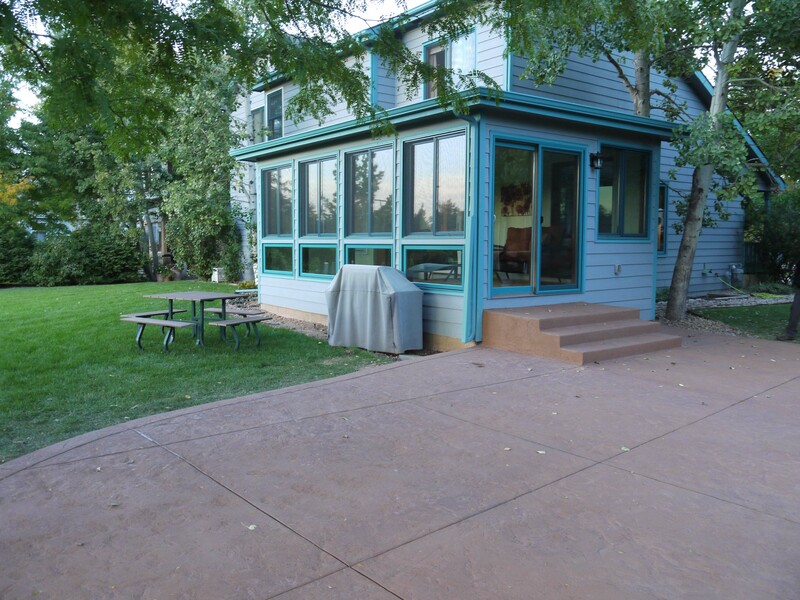 This next example comes from our porch, patio and deck builder in Denver. 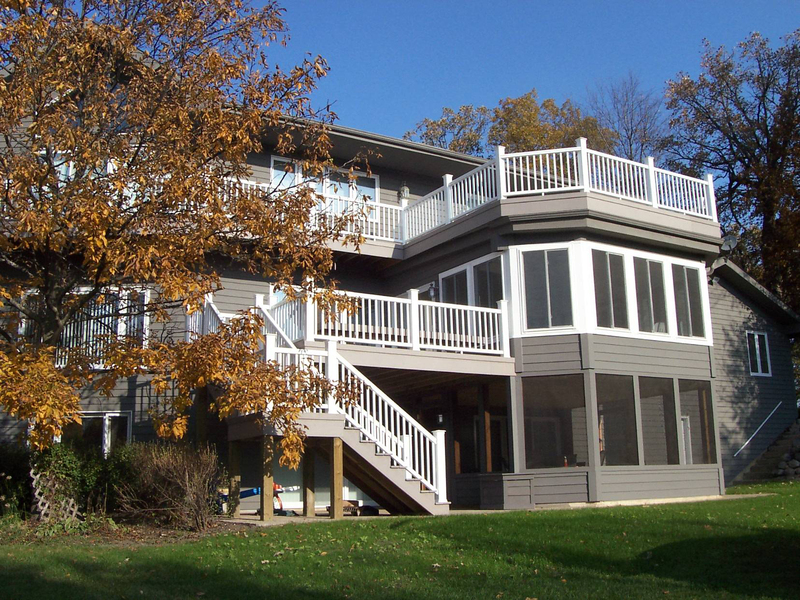 Like the first example, this home had an existing deck. It was old and needed to be replaced. Instead of building another deck, the owners wanted a sunroom that they could use even when there was snow on the ground. Curtis Crays of Archadeck of the Front Range designed the addition, paying particular attention to the windows and the color. The home’s color is unique and by being just a little off in the color, it would be noticed. 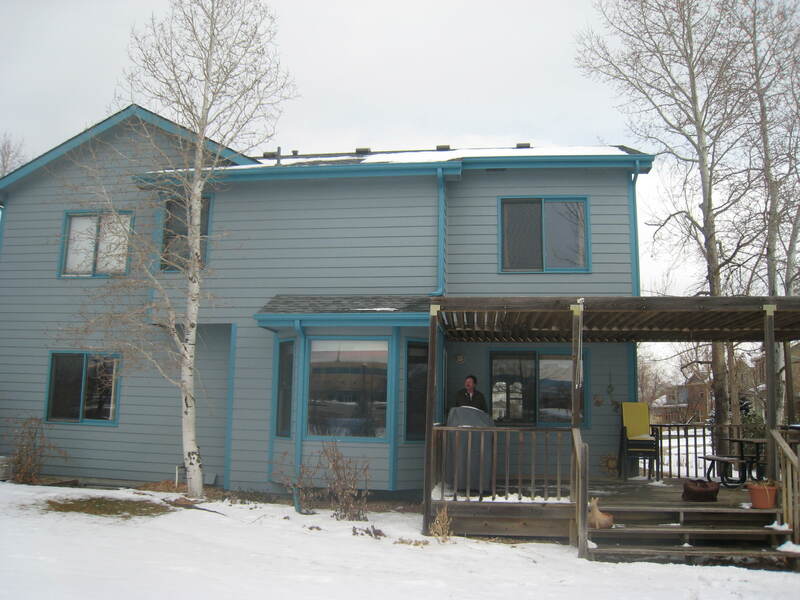 Curtis worked with the homeowners to learn the exact color of the home’s siding and trim and was able to use the same ones. Can you imagine what it would look like if it were white? The sunroom windows were also an important part of the design. The main home’s windows are pretty simple, without a lot of panes in them. Curtis used similar windows to make the transition to the sunroom smoother. Whenever you are considering adding on an outdoor space to your home, make sure that you pay attention to the finishing touches, both inside and out. Your sunroom, porch, patio or deck designer should be able to work with you to define what details need to be incorporated into the site. And, as always, please contact your local Archadeck office for any questions or to discuss your outdoor living needs or concerns. This deck in Columbus was built with under decking to create space for both a covered patio and screened porch below. Now the homeowners can use it to enjoy the sun and shade. Here you can see the underside of an under decking system. It was finished with beadboard for an added detail. Under decking was able to transform a dead spot in this backyard into a beautiful outdoor living room underneath a raised deck. Notice how the area underneath the deck is dry while the rest is wet? This is how we test if the system has been installed correctly. The water is being successfully taken away from the covered portion of the project. Sunroom or Screened Porch? Why not have both?! Deciding on a new outdoor living space is a big decision. There are so many options now, decks, patios, sunrooms, porches, outdoor kitchens and more, and they all have their own benefits. In preparing and budgeting for your projects, it’s important that you weigh what is most important to you. Is it size? Material? Budget? These are all questions that you should be able to tell your contractor when the time comes. 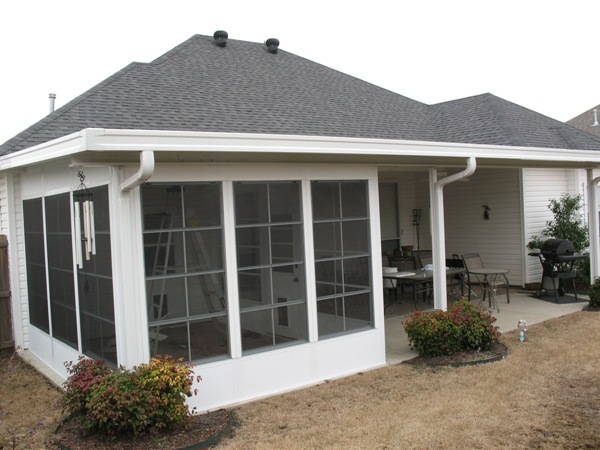 One question we at Archadeck Outdoor Living often hear is what’s best, a sunroom or a screened porch? In short, both are great outdoor living options that can add significant value to your home. But now, you don’t have to make the decision of sunroom or screened porch. You can have them both, in one project. Our customers love sunrooms as they can use them all year round while still being surrounded (on three sides) by the outdoors. Those with screened porches love to sit in the shade and feel the breeze without being bothered by bugs. And then there are the lucky few that have both. Sliding and removable panels are becoming more popular in the outdoor living category because they provide customers with a variety of ways for their rooms to be used i.e. as both a sunroom AND a screened porch. PGT Eze-Breeze is a vertical sliding panel of vinyl windows that are backed with screens. 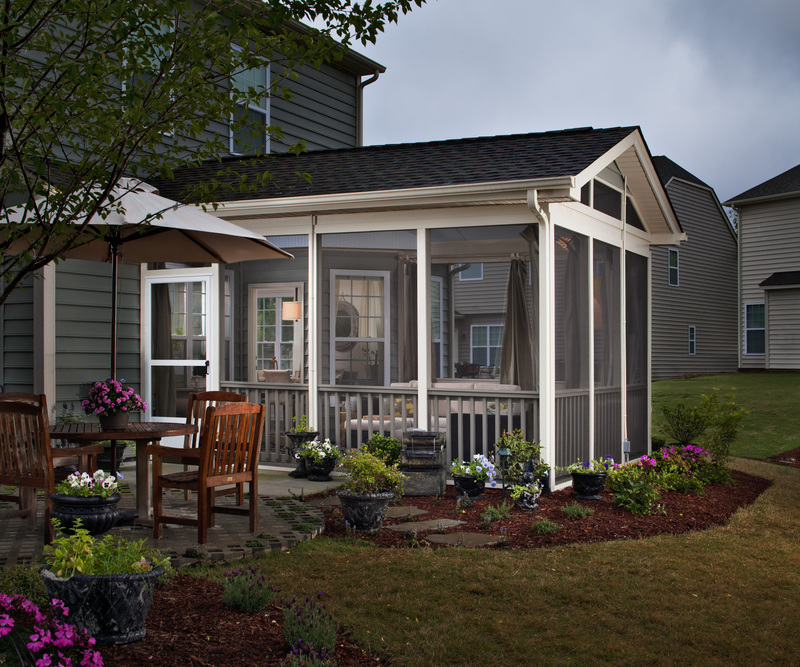 When the weather is right, slide them down for a screened in porch, and pull them right back up when it’s raining! The panels are custom-made for your project and available in a variety of colors to make sure they complement your home perfectly. The vinyl window is lightweight to make the sliding easy and still provides the same view as regular glass. Vinyl windows may not work for every location. Some homes need something more durable and insulating. For those customers, we have removable glass panels and windows. In the warmer months, the panels/windows can be removed so that the sides are just screened. And when it gets cold again, just put them right back into place. It’s all about options people! If you are planning an outdoor living space and aren’t 100% sure what you want, it’s important to start asking yourself some questions, like how are you going to use the space? What views are important to you? The Archadeck Design Guide can help guide your thinking and prepare you for future meetings with contractors. And, as always, feel free to contact us, or your local Archadeck office for more information.